British bookmaker Ladbrokes Coral has reportedly lined up City banks to review its consolidation opportunities, The Times has reported citing unnamed sources. The gambling operator is said to be prepping for the upcoming publication of the UK Government’s probe into the nation’s gambling industry. This year, the traditional triennial review is primarily focused on the controversial fixed-odds betting terminals. Opponents of the gaming machines have been lobbying for the implementation of certain limitations to the machines and it is believed that the publication of the Government’s report will bring the much-asked-for curbs. Currently, FOBTs accept maximum wagers of £100 every 20 seconds. The machines have long been condemned for the high-stakes, high-speed action they offer and that these features are what makes them highly addictive and dangerous to vulnerable people. The controversial devices are located in betting shops around the nation. Following last year’s merger of Ladbrokes and Coral, the combined entity became the owner of the largest chain of betting shops in the UK. If the maximum stake accepted by the betting machines is reduced, as expected, Ladbrokes Coral will be hit by a significant drop of its retail revenue. 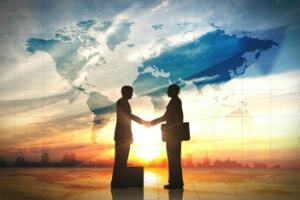 As reported by The Times, the company has lined up financial advisers from Deutsche Bank, Greenhill, and UBS to explore its consolidation potential. It is believed that once the review is published late next month, Ladbrokes Coral could renew takeover talks with online gambling operator GVC Holdings. Last month, the two companies held talks, with GVC offering to buy its rival for £3.2 billion. Ladbrokes Coral eventually walked out of discussions citing regulatory concerns. It is also believed that the operator was not content with the price offered. GVC has recently said that merger and acquisition opportunities will be part of its growth strategy after the bwin.party takeover, which was announced in the summer of 2015 and completed in February 2016, proved to be a profitable move. The UK gambling industry has come under fire for failing to implement adequate measures for the protection of vulnerable people and the prevention of people with problem behavior from gambling. This is why it is believed that the Government’s review will result in stricter gambling regulation policies, ones that could hit gambling operator’s profitability in quite a negative manner. Previous regulatory changes in the nation’s gambling landscape, that is the introduction of the 15% Point of Consumption tax, unleashed an unprecedented wave of high-profile merger and acquisition deals. A reduction in the maximum stake FOBTs accept and the proposed curbs on gambling advertising could unlock an even more powerful consolidation deal-making. 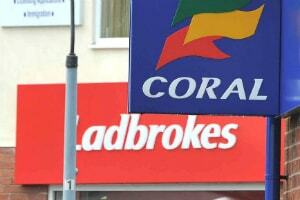 GVC’s apparent interest in Ladbrokes Coral could eventually result in the creation of another gambling powerhouse. But apart from these two, William Hill, which also operates a large retail network in the UK, is expected to seek a partner to endure the regulatory burdens.